Recently sold my first bathing beauty so decided to do another. 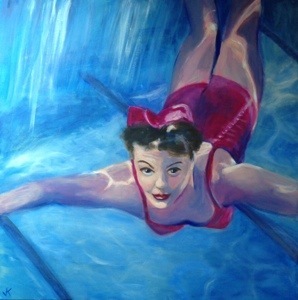 Inspired by old Hollywood glamour queen Esther Williams. 61cm x 61cm, acrylic on canvas. For sale.